The third Saturday in July, the Brew Fest is held in Historic Depot Square. 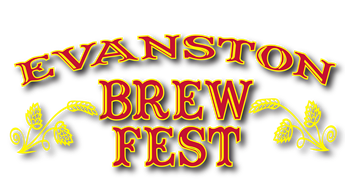 This event brings the craft brewers from around the region to offer tastings, live music and great food are included for everyone to enjoy. Funds from this event are used as sponsorship of Music in the Air at Depot Square summer concerts, Evanston's Farmers Market, smaller downtown projects such as flower pots, street pole banners, match for Technical Assistance Grants, art, etc. This year we have approximately 22 breweries represented, 14 on site, and 60 different brews available for tasting! About 1,500 folks participate on Main Street in Historic Downtown Evanston! There is lots of good food and great music. To view photos from the event, please visit the Photo Gallery.